Here’s the opportunity to capture that all-important first impression. As attendees arrive at the Champions Club they will be directed to the Registration Desk. This is a desirable high traffic location open the entire length of the event. Station your reps at the Desk and greet every planner as they register. The sponsor may brand the area with signage and collateral materials. Your logo, images and/or video can be played in a continuous loop on monitors located in the common areas for maximum exposure and impact. Rise and shine to mingle with FSAE’s leadership from 8:00am-9:00am as they prepare for their meeting. This is a very casual continental breakfast with excellent interaction where you can brand the food station, place collateral in the meeting room, and make a brief introduction to your service or product. You may also return to welcome the afternoon executives after the Planner Lunch. The stage is yours! This is a Planner Only private luncheon. Make a presentation, create your own theme, run image loops or video. 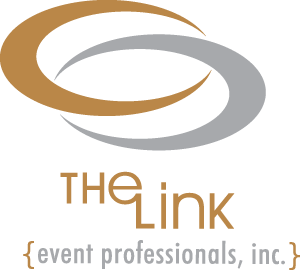 Countless ways to brand and impress the XSITE planners over the lunch break. An excellent sponsorship opportunity located adjacent to the XSITE Registration area, open from approximately 10:00am until 2:30pm. You’ll capture each and every attendee as they arrive the Champions Club. As host sponsor, you can brand this creative break station however they like and staff with up to two representatives. During the tradeshow, it’s a hub of activity for all attendees and the place to make connections. It comes with a Full Bar and passed hors d’oeuvres. Once the show ends, it transforms into the After Party. 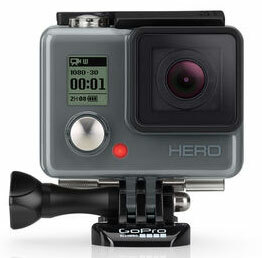 This prime sponsorship allows you to make a very brief introduction of your team and to award a GoPro to one lucky planner. 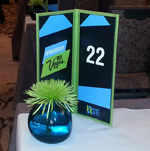 The XSITE Show boasts impressive food presentations, action stations, and passed hors d’oeuvres. The food stations are located in the appointment area where you can brand with your logo, décor and signage. Display your own branded napkins and promotional items. Provide logo wear and our action station chefs will help you expand your brand. All Planners are invited to this very popular sessions. 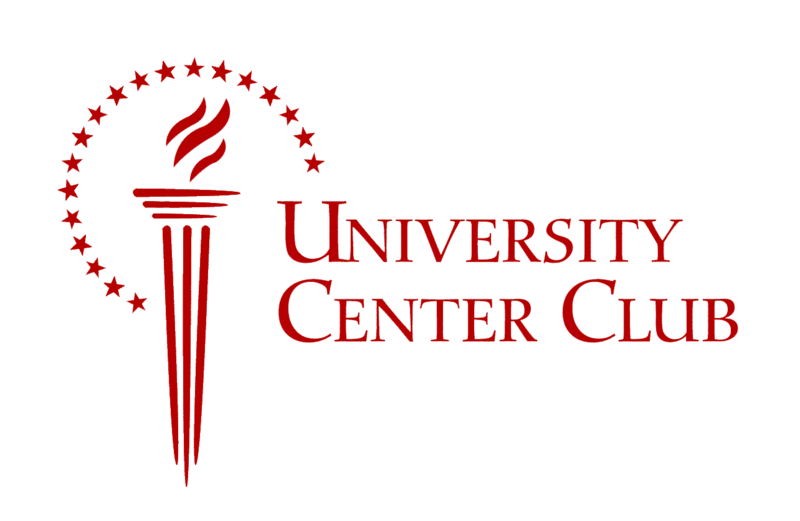 You will be able to have your logo projected, introduce the speaker, and give a short presentation on your property or service. 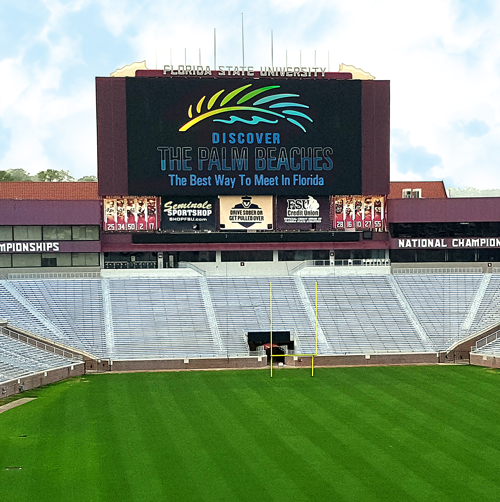 We have a limited number of opportunities to have your logo displayed on the FSU Stadium Jumbotron. At nearly 10,000 square feet, it’s one of the largest college video displays in the nation. Logos will displayed at a specific time during the appointment show and the length of those times will be determined by the number of sponsors, but no less than 10 minutes in duration. The optics of seeing your logo and the photo opportunities for you or your team are enormous. Don’t miss out! This is one of two bars open during the appointment show from 2:30pm until 5:40pm ( the other is in the Planner Lounge). Very high traffic and visibility in the center of the action. You can brand the bar, bring logo cocktail napkins, or logo wear for the bartender to enhance your message.